Established with an aim to make available a chic collection of menswear in the market, Trendsfashion Incorporation has been operating as an online portal for a wide selection of casual suits. Our portal is well managed by a team of dedicated individuals based in Chicago, USA. We are an online retailer of replica wear and leather products. With us, one can browse products across different categories. 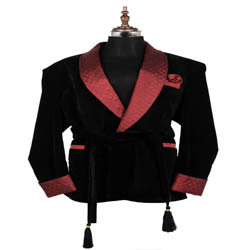 Our product range entails wedding tuxedo suit and smoking velvet blazer. So, whenever you plan to do casual suits for men online shopping in the USA, log on to our portal.